A factory worker from Hartlepool has been granted £25,000 in compensation after his hand became trapped in a machine at work. The accident, caused the machine operative, to lose part of his finger and suffer burns to his hand. The machine’s power supply failed to automatically shut down when the man opened it to remove a brake pad which had become stuck. In the midst of removing it, a safety mechanism did not function correctly and his hand was trapped. He was severely burned in the accident and his hand needed skin grafts to repair the damage to three of his fingers. Nerve damaged also meant that the 55-year-old had to have part of his middle finger removed. The man had worked at the company for 15 years, was not able to work for 6 months following his injury which has left him with permanent damage 3 years after the accident happened. The company, who produces brake friction fluid, claimed the fault of the accident was not due to safety failings of the machinery. However, the victim consulted his union and with their help managed to secure a compensation agreement from the company. He is now back at work but is apprehensive about his lack of ability to grip, stating that he often drops small objects like bolts and screws which some could perceive as being careless. There are a lot of accidents possible in the workplace with some working environments posing more threats than others, depending on the nature of the business. If you work with industrial machinery, tools or equipment then there is more risk of having an accident. Employers must use correct safety measures in terms of assessing the risk of particular machinery, providing training for certain jobs which require the use of machinery and ensuring that machinery is correctly maintained. If you have suffered an injury and the accident was due to failings from your employer then you could be able to make an accident at work compensation claim. 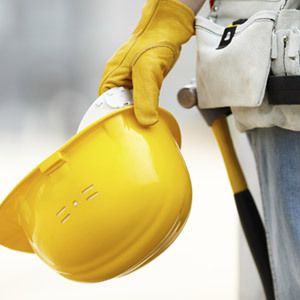 Jefferies Solicitors is a team of personal injury lawyers who are able to help with industrial accidents at work. We can conduct many claims on a *no win no fee basis, to find out if you qualify for *no win no fee, please get in touch and tell us more about your claim. Call us on 0800 342 3206.